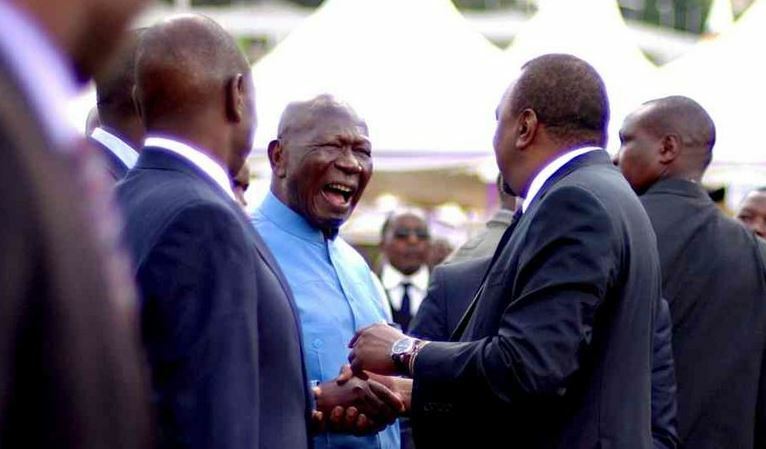 President Uhuru Kenyatta has told off his critics following the appointment of former Vice President Moody Awori as a member of the Sports, Art and Social Development Fund board. The President has come under sharp criticism from the online community for appointing the aging Moody, who turned 91 on Wednesday, at the expense of young people. But speaking during the official commissioning of the KCB Foundation 2jiajiri Youth Empowerment Program, Class of 2018 on Thursday, Uhuru defended the appointment saying the nonagenarian is better equipped at ensuring money is not stolen at the board. He went on to tell off his critics, saying, “Watu waniwache bana mimi sitaki mambo mingi”. Here’s a clip, courtesy of Citizen TV.